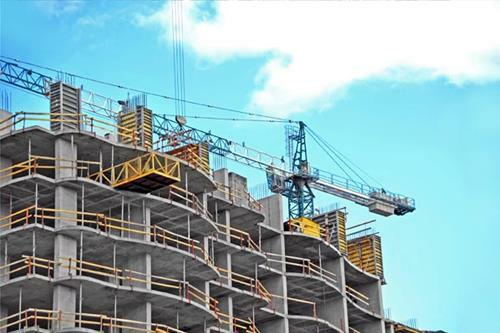 The Ontario government is considering a review of preferential sales practices for pre-construction condos as part of its wide-ranging reforms of the housing market. In a practice that has quietly become standard in the Greater Toronto Area, insider real estate agents are often given selective, early access to multiple allocations of units in new condominium developments before they are made available to the broader community, a Globe and Mail investigation recently found. Such sales arrangements are private, and home buyers have no reliable way to know if they have enlisted a realtor who will be able to deliver them a unit. “We committed in Ontario’s Fair Housing Plan to working with real estate professionals and consumers to review the rules and see where we can make further improvements to enhance consumer protection,” the Ministry of Government and Consumer Services said in a statement on Tuesday. In April, Premier Kathleen Wynne announced 16 measures intended to cool the GTA’s overheated housing market, including a 15-per-cent tax on foreign home buyers, expanded rent control and changes to the way real estate agents operate. Part of that work is a review of the Real Estate and Business Brokers Act (REBBA), the 2002 legislation that governs the conduct of realtors in Ontario, which began last week with a call for feedback on a consultation paper. While the government says it is still early in the process, the system of exclusionary condo sales “may be considered as part of the review,” the statement said. The review’s first phase is focusing on multiple representation, also known as double-ending, which is when one real estate agent represents both the seller and buyer of a home. The province also intends to help consumers better understand related agreements and increase fines for realtors who engage in unethical behaviour. After that work is completed, the ministry said it would begin working on a broader review of the legislation next year. Many developers outsource condo presales to specialized real estate sales and marketing firms that grant preferential access and unit allocations to individual brokers and agents with networks of serious buyers, many of them investors, based on sales performance and personal relationships, industry insiders say. While the selective sales system is not against the law, home buyers and realtors say the practice is unfair and can mean the difference between landing a condo at the cheapest price in a popular development or being left out of the GTA’s expensive real estate market. The practice has already been called “disconcerting” by an official at the Real Estate Council of Ontario, the self-governing body that regulates realtors. The Globe focused on a 10-tower planned condo development in Mississauga known as M City. When sales launched in March, the developers received 8,000 requests to buy units in just three days. However, just 547 condos were available at the time. Despite the demand, insider realtors were given preferential access to multiple units, a process that rankled agents who had promoted the development but whose clients were not able to buy units. Some realtors working in condo presales also engage in questionable advertising practices that risk violating the profession’s rules, the investigation found, including promises of guaranteed preferential access. “100 per cent guaranteed unit,” an agent said on Facebook. “First choice of condos in any presale in Toronto,” another said on his website.